Your friends in the payments business! We are a payment solutions company providing ATM services and a wide variety of other merchant services solutions for businesses nationwide. We are an ATM placement and management company offering free full-service ATM placements and ATM sales with processing. We install, manage and service ATMs at hotels, airports, shopping malls, arenas, convention centers, university housing, condominiums, nightclubs, bars and many other places. We are the local ATM company in Kansas City and have expanded our service areas over the years to provide services in every metropolitan area in all 50 States as well as Canada. We are one of the fastest growing ATM companies in North America with a proven business model of partnering with local ATM technicians, installers and cash-loaders to service ATM needs in every metropolitan area nationwide. We attend ATM industry conferences every year to meet other ATM operators and continually work on developing our partner network so we can get to most places in the country and service organizations with multiple locations. We have one of the largest extended networks in the country. We specialize in providing fully-managed ATMs at qualified businesses nationwide. If you'd like to get an ATM installed, we can help. Entirely free. No cost ever. We handle everything. You sit back & relax. You get paid per each transaction. Local ATM technicians in each city. We’ll put one of our ATMs in your location for free, take care of everything, and pay you for it. The full-service ATM placement is a completely hands-off, hassle-free program with no financial commitment, making it our most popular service option. If you provide and load the cash in the ATM, then we will buy and manage the ATM and split the surcharge revenue with you 50/50. Our merchant-loaded ATM partnership is a minimal hands-on program with no financial commitment. We provide equipment that allows you to operate ATMs anywhere independently via the Verizon cellular network. Payment solution broker for hard to place merchant types and higher risk payment processing needs. 10 years of experience. "Prineta is very easy to work with, installation was a breeze and we've had zero issues with the machine. Having an ATM that is no cost to my business, but a convenience to my guests, is the main reason we chose to have a free full-service ATM placement by Prineta. Very satisfied customer"
"Prineta has been our ATM provider for over a year now and there as not been one single issue with anything. The machine has a 100% up time, the machine never runs out of paper, or money. The install was seemless and painless, the sales team is excellent to work with and the monthly service is perfect cash loading is perfect. When we decided on Prineta the account was super easy to get started. Our company is located in Colorado Springs Colorado and we are now wanting service in Chandler AZ and Portland OR. They have many options as far as service fees and plans. 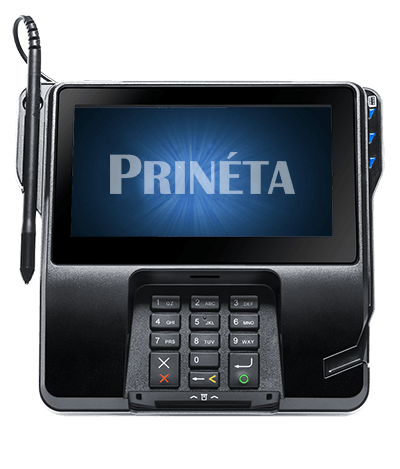 I highly recommend Prineta as your companies choice for ATM service. In my view you can't get any better, so Thanks Prineta for being world class." "As Regional Manager for Hampton Suites Green Hills in Nashville, TN, I can state from an insider position that the representatives and technicians at Prineta USA were of the highest caliber. The entire process, from planning to installation, went smoothly. Each person with whom I dealt was professional and helpful. There were some challenges in location for our ATM and they worked with us closely to solve these issues. Our full service ATM is a great amenity for our guests, most of whom are corporate travelers. I recommend this company with no hesitation to anyone wishing to add this extra touch to their customer service, no matter what the business."